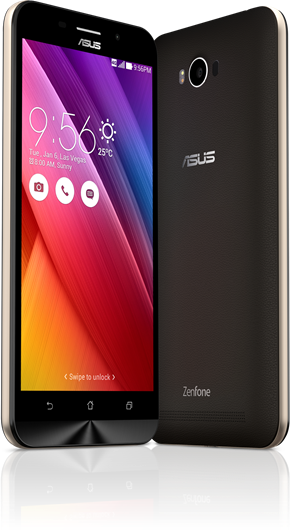 ASUS at the ZenFestival event in New Delhi announced its latest additions to the ZenFone line, including the sleekly-designed ZenFone Deluxe and low-priced ZenFone 2 Laser but perhaps what grabbed everyone’s attention was the ZenFone Max. Packed with a 64-bit Qualcomm Snapdragon 410 processor with up to 2GB of RAM, the 5.5-inch ZenFone Max (ZC550KL) features a 13MP/5MP PixelMaster cameras with a wide f/2.0 and an incredibly-long-lasting high-capacity 5000mAh lithium-polymer battery. ASUS has not yet revealed its price but we’re hoping that it’s somewhere between the ZenFone Deluxe and ZenFone 2 Laser. Update: ASUS Zenfone Max priced at Php 8,495 in the Philippines. -4G LTE networks, 3G with HSPA+, GPS and Bluetooh 4.0. Smartphone enthusiast. Bit of a nerd, kinda geek but not weird. Loves everything about music, food, writing, travel and photography.